* selected topics of statistical and continuum thermodynamics. Furthermore, the principle of virtual work (in both the material and spatial descriptions) is compared with two and three-field variational principles particularly designed to capture kinematic constraints such as incompressibility. All of the features combined result in an essential text for final year undergraduates, postgraduates and researchers in mechanical, civil and aerospace engineering and applied maths and physics. 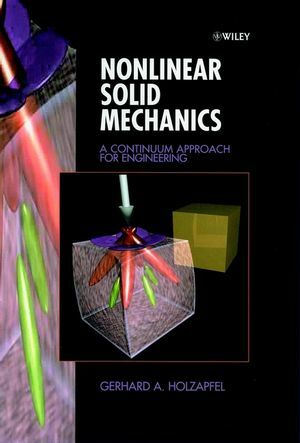 Gerhard A. Holzapfel is the author of Nonlinear Solid Mechanics: A Continuum Approach for Engineering, published by Wiley. Introduction to Vectors and Tensors. Provides many examples and exercises. Comprehensive, modern approach directed towards computational mechanics.